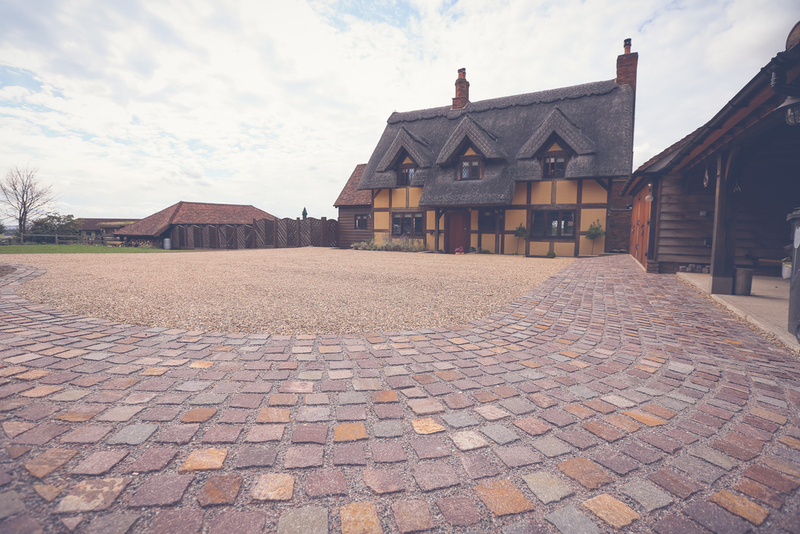 The clients wanted a large driveway for ample parking. 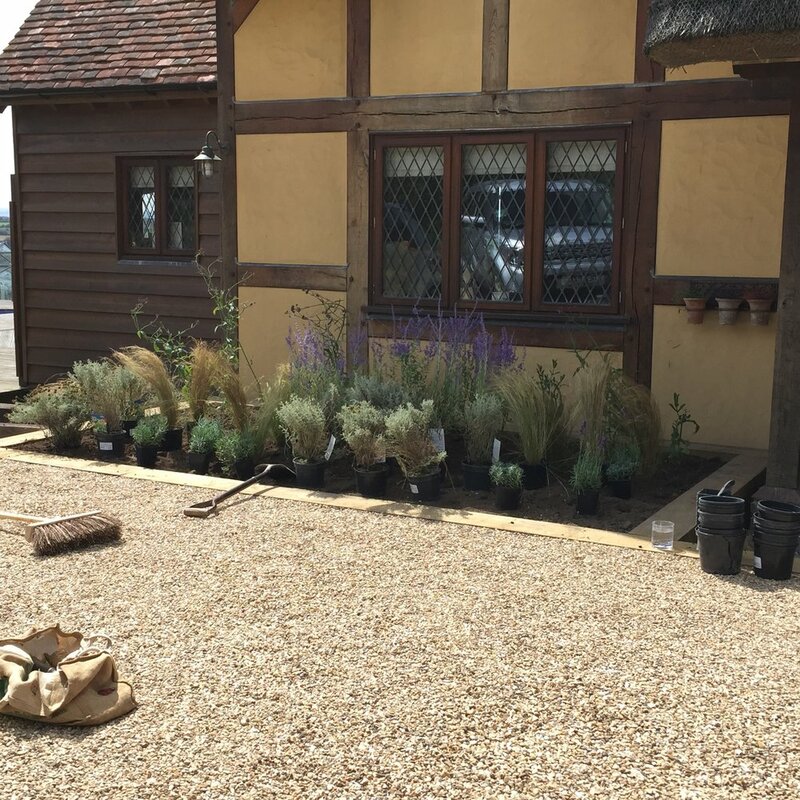 The driveway was resurfaced using Cedadrive gravel stabilisation and Porphyry granite setts to complement the warm feel to their cottage. 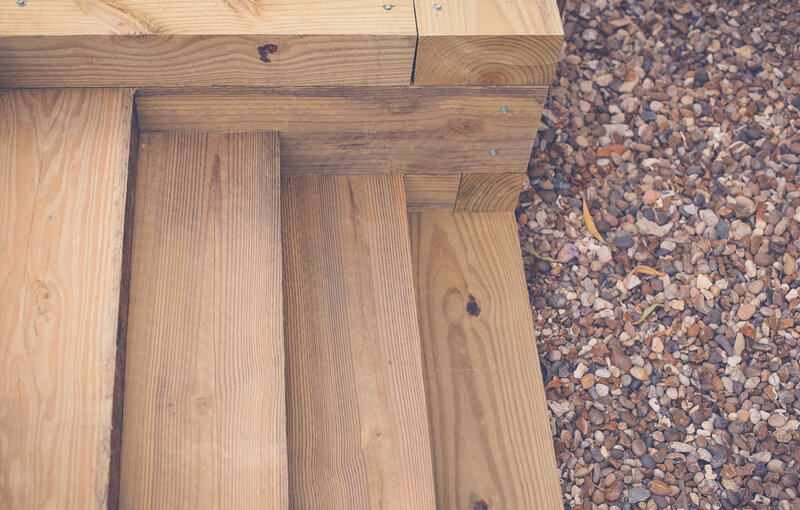 New steps were constructed using oak sleepers with a planting bed adjoined and planted for scent and the solitary bees that were living in the thatched roof. An orchard was planted into the existing lawned areas and wild flower meadow seed sown for the following year. The design specified differential mown paths to journey through the orchard.